Last month I attended a really inspiring workshop by Ginnie Lam. 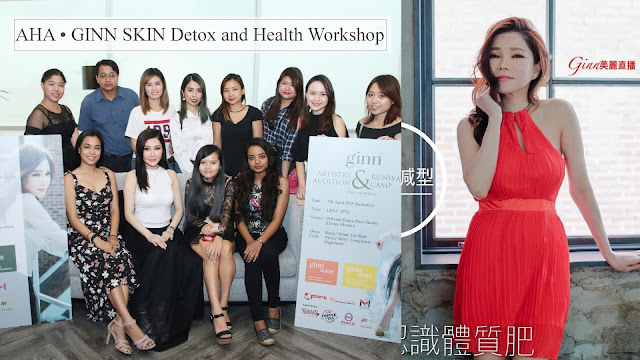 I would want to share some of the experience in the workshop and more about ginn skin too! Here's Ginnie Lam, founder of Ginn International. Pronunciation of the Korean language "gin "[진] which means “真”, “真” means " the truth" in Chinese. Image above is all of the achievements of Ginnie Lam for her entire life. Since 19, she has a serious breakout for her face. Since then, she never stops seeking and learning about beauty. Until now, she becomes the founder of Ginn International. She is still working hard to share her beauty knowledge with the world. Not only that she also created a group called Ginn Fairy Club. Ginn aims to beautify you by working from the skin's foundation. To be a fairy, we begin with good skin care and understand the importance of 'chi' (the circulating life force who existence and properties are the basis of much Chinese medicine). Hence, a good fitness program with a good diet, coupled with a healthy mental and emotional well-being, one can surely achieve a beautiful skin like that of a fairy. 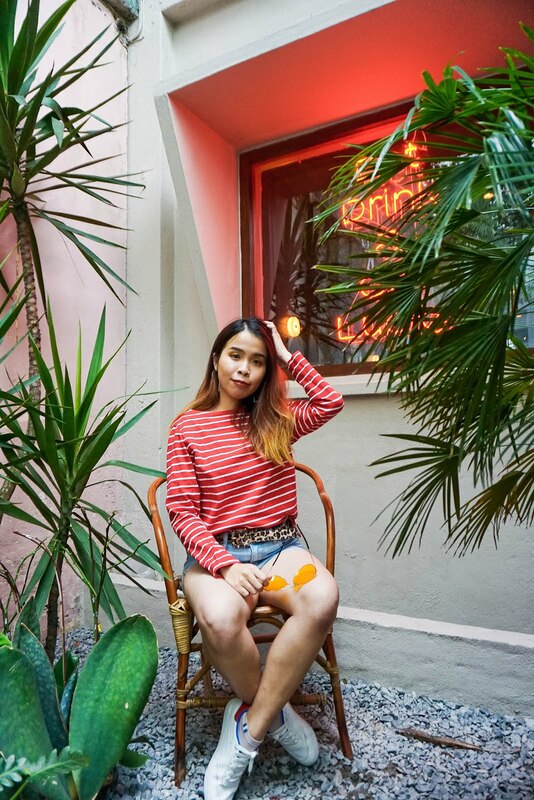 To Ginnie Lam, is important to achieve both inner and outer beauty as a lady. You can also follow Ginn on her Facebook Live every two weeks too! Everyone now can become a Fairy like her too or you can check out www.ginninternational.com for more info. - Join online on various training courses (such as Beauty Makeover, Self Image & Mannerism, Nutrition Regimen courses, Slimming & Beauty Recipes, Model Training, Speech & Presentation Skills Technique, Social Etiquette, KOL Training, Therapist Training Course). - Join GinGin Facebook Live (to join lucky draws, quizzes, complimentary health and beauty consultations and birthday parties). Ginnie (the founder of Ginn Skin) believes that beautiful skin comes from proper skin care with a healthy lifestyle. 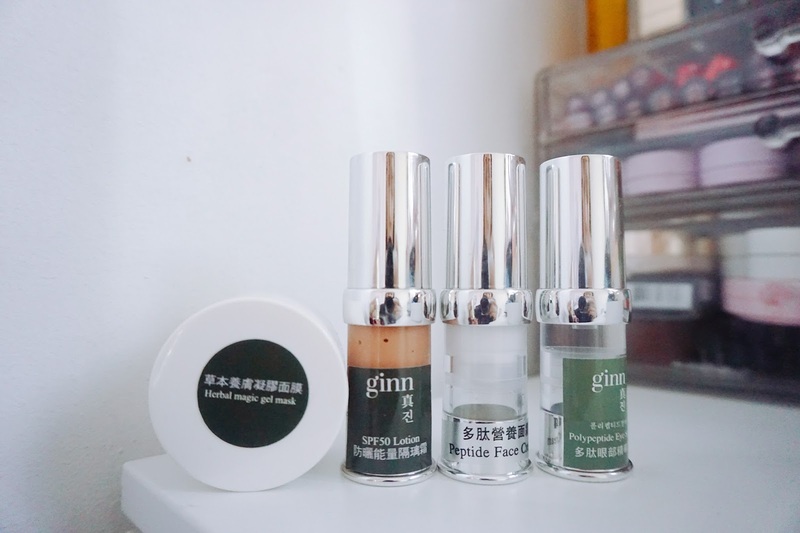 Ginn Skin is a Chinese herbal skincare series that has the best ingredients with maximum effect for your skin. Ginnskin Study research and uses molecule technology and patent ingredient for their products. Artificial Flavors. No metallic elements. Does not block pores. Does not influence hormones. For today workshop, Ginnie Lam will teach us how to actually detox and repair back our skin hydration and restore the healthy complexion. 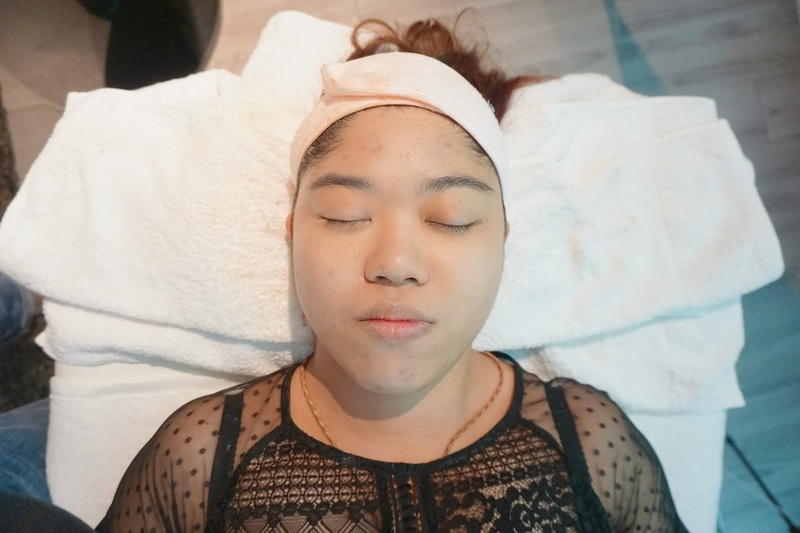 Alice (a loyal user) demonstrate how's the facial process work while Ginnie Lam guides us through the entire process. With the help of this massage cream, it works to liquify jelly-like toxic substance under the layers of your skin. Continue on with AHA Aroma oil but with harder massages to improve the circulation in our lymphatic nodes. In this step, the oil is able to stimulate blood flow to enter deeper layer to get ready to flush out excess "water and fats" in step #4. It's like a thick gel texture and requires some time to dry. During the process of drying, toxins and dead skin cells are "pulled" out. Your skin will feel tight as the cream dries up. It gives a cooling feeling. Make sure to massage well when you apply and cleanse off. Ginn Skin Essence Treatment Water helps to refine pores and control oil secretion. With enough hydration, it helps to moderate skin condition and de-swells puffiness, moderate oil secretion and allow the skin to regulate a more normal condition. Ginn Skin Eye Serum hydrates your eye area. Try to pat your face when you use Ginn Skin Face Serum to improve circulation. It's the sunscreen step. 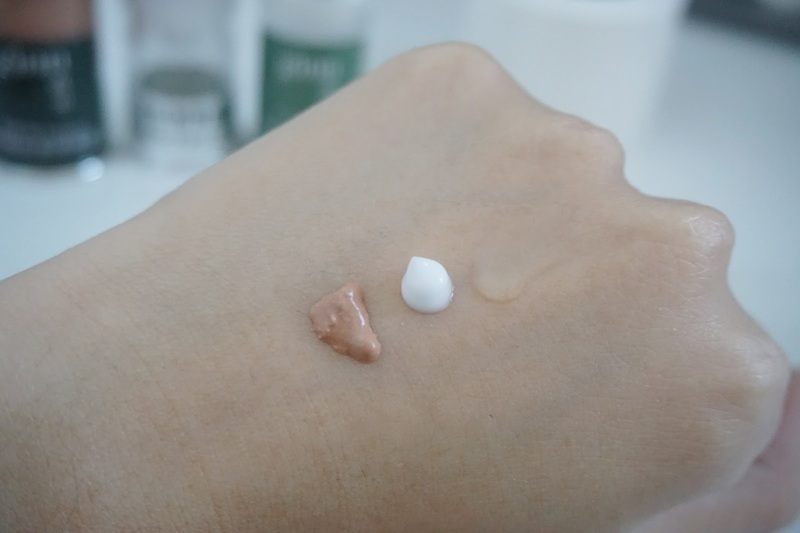 It's like a tinted moisturizer but with weird clumps that you need to press in and it will melt into your skin if its well-hydrated. You can see obvious results on her left side of the face. The cheek area has been lifted up and so do her eye area too. The left side of the skin has been more firm and more hydration too after the entire process of detox and repairing. We got to try a few products on our skin and to be honest, they all are light (like water) and comes with quite a nice scent of herbal scent. Among the product that Ginnie mentioned, I love this Herbal magic gel mask (200ml) the most. It consists of few Chinese herbal anti-stressed elements and deep whitening water. This treatment helps purifying sebum, folliculitis, even prevent the allergic itch. Use daily or at least twice a week of magic gel mask to keep skin white, hydrated and anti-allergic, promote facial blood circulation, activation of aging epidermal cells to help epidermal keratin metabolism, eliminate wrinkles, dilute the pigment, enhancing Skin beauty. 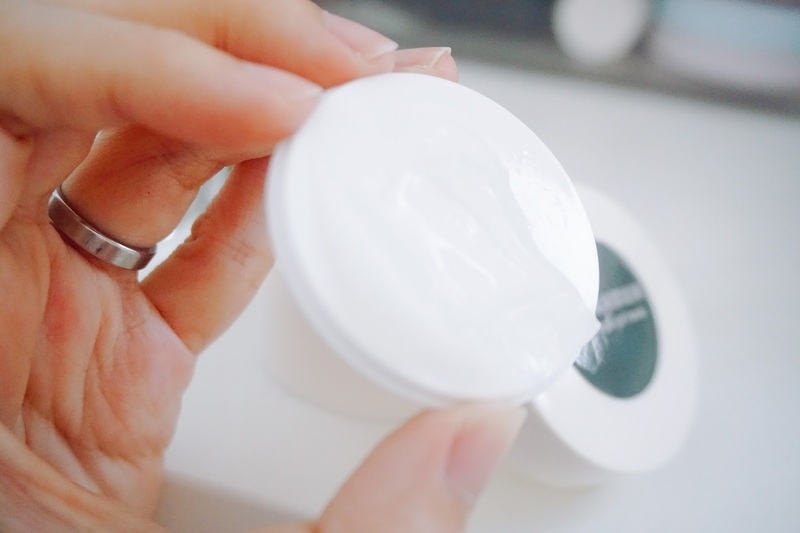 Hydra gel texture, the effect of moisturizing tenderness, effectively penetrate the skin, refreshing & non-sticky, giving the skin light and rich comfort. Contains witch hazel, purslane and another plant repair moisturizing essence with complex moisturizing repair ingredients. Moisturizing dry skin, conditioning water, and oil balance so that the skin is soft and tender. It was also fascinating to hear Ginnie story about their journey fighting for beauty and health. We got the chance to watch back her life journey as a beauty pageant, how she helps in charity and how she overcome all the obstacles that she faces throughout the journey. She is such aspiring and strong women! We end the workshop with a group photo with Ginnie. We also receive some of the skincare sample kits to try! From left, Sunscreen Lotion SPF50, Peptide Face Cream and Polypeptide Eye Serum. The texture of this herbal magic gel mask, it was so watery when you apply on skin! You will feel a tingling sensation when you apply. As this is like a detoxifying mask when you apply on face and wash after 10-15 minutes. Massage in circulation mode when you apply to improve the blood circulation and force the impurities to extract out. Check out the full range of Ginn Skin products. Click here for more info. Overall I have a pleasant experience in learning more and new beauty knowledge with Ginnie. One thing I remember that is beauty does not look at appearance but is also within your inner self too. Looks so many product healthy and beauty for nowadays. I've been spinning to choose the best product.. Hahaha..
Just reading your post, I feel inspired by Ginny. I think I will have goose bumps if I ever meet her in person. Hope to try Ginn Skin Detox. Don't I need it! Omg these are so atas skincare, and Ms. GINN is damn gorgeous! Did you get the full set?